Make your Woman’s Day special by gifting products designed by you! With Woman’s Day around the corner, it’s time to hunt for that perfect gift! While many look for gifts that their loved one enjoys or prefers, not many put a thought into looking for something unique and personalized. Today, gifting has undergone a sea change! Gone are the days when we could gift only store brought things that were devoid of any memories or personalization. Nowadays there are a lot of things that can be personalized which has added a fun element to gifting. But how about going a step further and designing your own gift? This Woman’s Day, instead of the regular flowers, chocolates or other off the shelf products, try gifting personalized gifts from Vuro that will stay with your loved one for years to come, and make this day extra special. 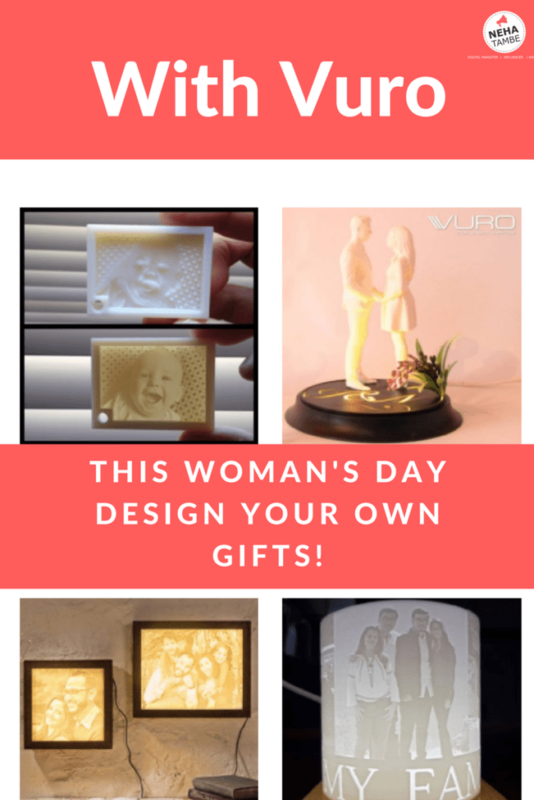 Vuro has a special section called personalized gifts that has a lot of interesting options like 3D printed lamps, personalized backlit photo frames, 3D selfie etc. This is ideal if you are bored of the limited personalization options that are available. These 3D options are not only personalized but as they are long-lasting, they make such gifts extremely unique and special. Just upload a high- resolution picture and make the payments. The image is printed on the product like lamps, keychains etc. and shipped to your doorstep for free! 3D printing also known as additive manufacturing is a process of making three dimensional solid objects from a digital file like an image on a computer. In an additive process or better known as 3 D printing process, an object is created by laying down sequential layers of material until the object is created. I liked Vuro for another reason as well! This is a platform that is empowering women designers in becoming entrepreneurs! If you are a designer and a mom on a break, then this is a great opportunity for you to explore! Let your design ideas flow and create great products using 3D printing technology. As Vuro sells these products you earn a commission! The best part is that you can do this from anywhere and be your own boss! Designers have a unique opportunity with Vuro to create and sell unique 3D models. As a designer you might have great product ideas, collaborating with Vuro, you can bring those ideas to life and earn while you are at it. This happens in 3 simple steps. Everytime someone buys your model you earn money. This is a great idea to make some passive income with your skills. The best part is that there is no joining fee and you can do what you love, while earning money on the side. You Dream it, they Print it! Vuro has a lot of categories to choose from like – Home, Fashion accessories, mobile accessories etc. 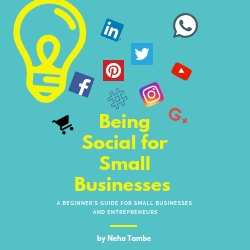 However, if you are looking for a specific product to be printed you can develop your design and connect with Vuro. You will get an instant quote and once finalized it will be printed and shipped to you! This is a great solution for those looking for unique products or home décor that is specific to a theme. Before I came across Vuro, I assumed 3D printing was limited to scientific labs and product innovation centers. Using 3D printed products in daily life was something that I hadn’t thought about, but it is now a reality and really simple to do too! What are your thoughts? Will you try 3D printed gifts this Woman’s Day? 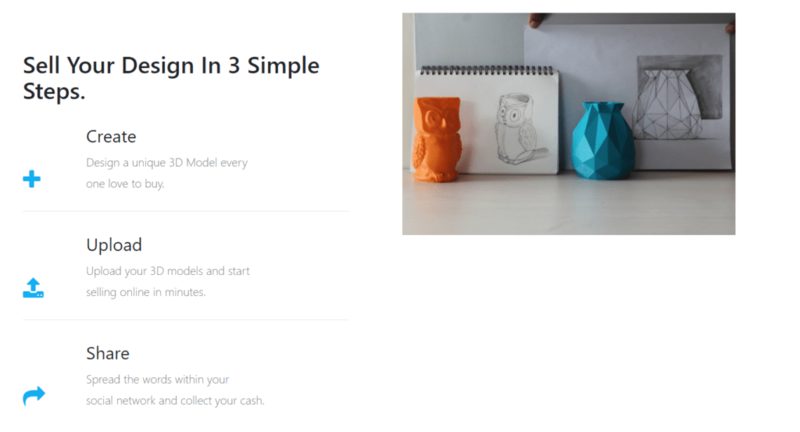 Have you used a 3D printed product or tried creating a 3D printed product? Share your thoughts! This is something new in gifting. I heard about 3d printing but never thought about designing them. Thanks for introducing Vuro. There is nothing like personalised gifts. It’s speaks to you I feel. I will definitely by something for my mum! I am thrilled to know about this Neha. Definitely going to explore it and willet me friends know about it. Thanks. Vuro has amazing 3d personalised stuffs and I really liked the idea of selling your designs here.. Yes, I have checked out their gifting options.. And waiting for mine too.. Superb collection they have!!! Thanks for bringing Vuro to my attention. I knew about 3D printing but this was quite useful information to know.